It's A Thumbs Up For The Extra Digit! It’s A Thumbs Up For The Extra Digit! Did someone say a third thumb? 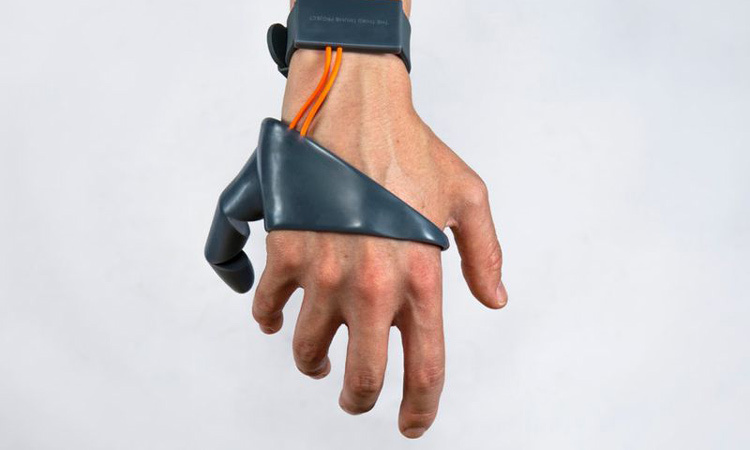 Dani Clode, a grad student at London’s Royal College of Art (RCA) has unveiled her latest creation; The Third Thumb. 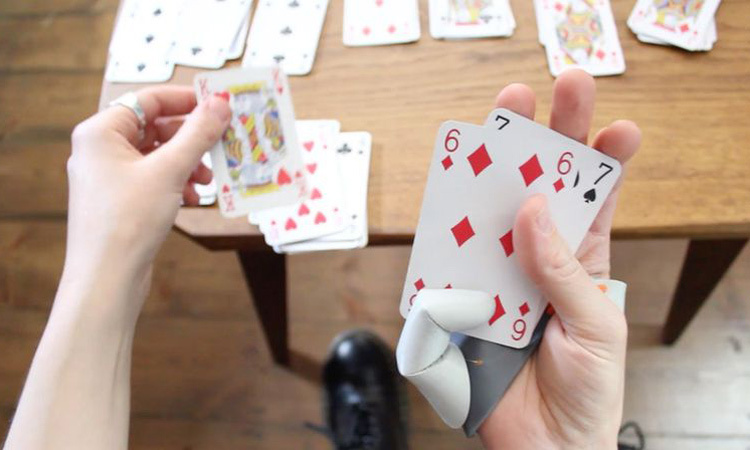 Which is exactly how it sounds, a 3D-printed prosthetic. It’s absolutely unnecessary stuff, and I love it. Attaching on to the side of your hand with a strap, it connects to a bracelet containing wires and servos. 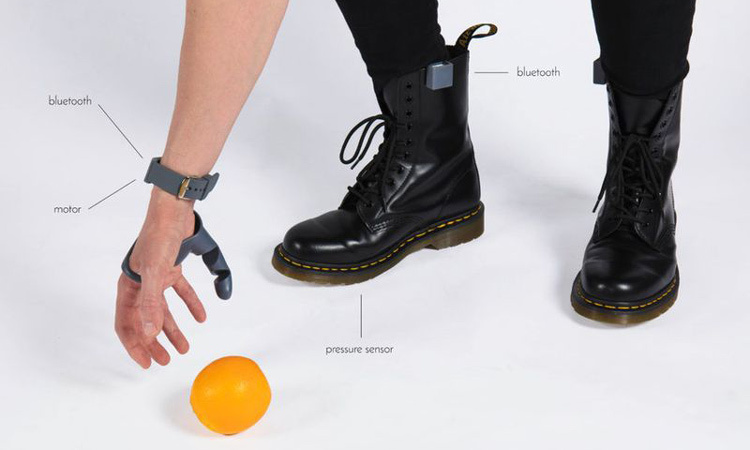 As you wear it you control the tumb using pressure sensors which sit under the soles of feet. Pressing down with one foot will make a grasping movement, with these instructions sent to the wrist unit via Bluetooth. Admittedly it sounds a little over complicated and messy, but Clode explained that people have tend to pick it up pretty quickly. It’s no more complex than, say, steering a car and operating the brake and accelerator at the same time. Although this product is just a prototype, Clode said the aim is for people to be able re-imagine what we think of as a prosthetic – something that can add capabilities, not just replacing ones we have lost. Let’s imagine now, we are in the future sometime; you’re doing business stuff, and you reach out to shake somebody’s hand. You grasp it, firm and unwavering. But a bit too firm in fact. The other person looks down. You’ve got an extra thumb, just there, tapping at the back of their hand all confident, in a businesslike way. And that is how you land that big contract. How? You have your third thumb to thank for that. Journalism graduate Anna grew up as a Tulsa Driller in Oklahoma, and is now both editorial assistant for eeDesignIt as well as the Engineering editor for Electronic Specifier. Previous Sheffield Hallam student Anna also did some work for the BBC before returning back home to the South of England.